Happy Cinco de Mayo to all of my imbibers. A day for drinking tequila. I used to be a big tequila drinker, enjoying some great anjeo blends like Porfidio Cactus in both small and large quantities. Then one night some 13 years ago, I had way too many shots of 1800. I held off drinking tequila for several years until I learned to consume in moderation, as well as sticking to smoother blends. I still use 1800 Silver when I make up a batch of blended margaritas, but for hand made margaritas on the rocks, I like to have a more refined blend. Once I introduced myself back to the agave-based spirit, I stuck to brands like Patrón Silver, which for myself, went down a lot easier than even the 1800. Even a Hornitos could be used if the bar didn’t serve Patrón Silver. 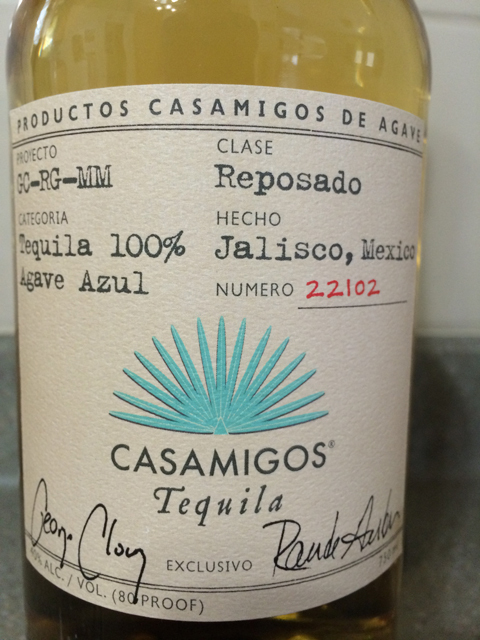 At the beginning of 2013, I had heard of Casamigos, but wasn’t able to find it until later in the year. I purchased 750ml bottles of both the Blanco and Reposado, $39 and $49, respectfully. This is my review of Casamigos Reposado in a margarita. I got burnt out on margaritas because they were too sweet, too cold, too icy and too bland. All of these dislikes come from how run-of-the-mill various mixes and dispensers are in many restaurants and and some bars. All frozen and from a mix with who knows what kind of tequila is used. 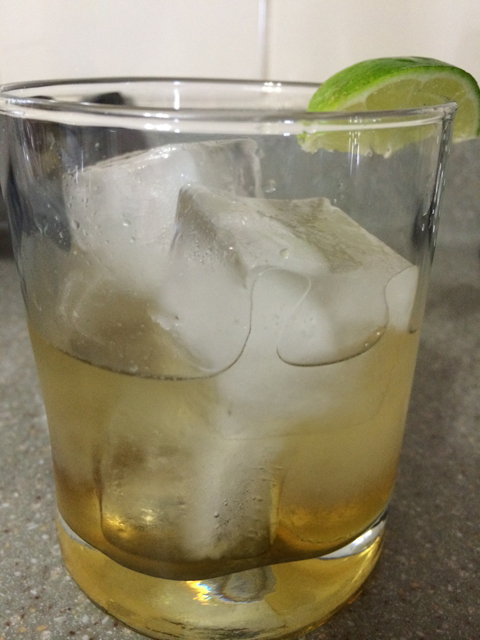 Pour each of the ingredients into a glass with ice. Stir and enjoy. Simple and great tasting. That’s how I like my margaritas. Not all sweet and sugary. And [almost] never blended. Always on the rocks. And a better tequila like Casamigos is preferred. What drinks did you enjoy and/or serve for Cinco de Mayo? Porfidio Reposado used to be my absolute favorite tequila back in the day. I remember being down in Jacksonville, FL in 2001 for work. Was at a run of the mill TGIF-ish joint with some co-workers. At the time we couldn’t get Porfidio up north. I think that Mexico even suspended production for a year or so there during the great tequila boom. I don’t recall. But I knew I loved it and I knew it was super-rare for Northerners to find it. This joint had bottles of it. And I was shocked at how cheap they were serving it. That was a good night, mi amigo. So cool that you know the greatness of Porfidio Reposado. Those bottles with the hand-blown cactus inside. It’s hard to find anymore because I believe the factory stopped producing it a few years ago. I should have purchased the bottle I found in Nevada back in 2011. Back in the late 90’s is when my friend and I would drink it. I think we paid $7 a shot, which was pricey then. We’d drink the bar out of Porfidio. I’ve never heard of Casamigos but will have to try it. Glad you had a good Cinco. Thanks. Casamigos is not nationwide yet (Utah doesn’t have it yet, although we are sometimes the last place to get newer brands).